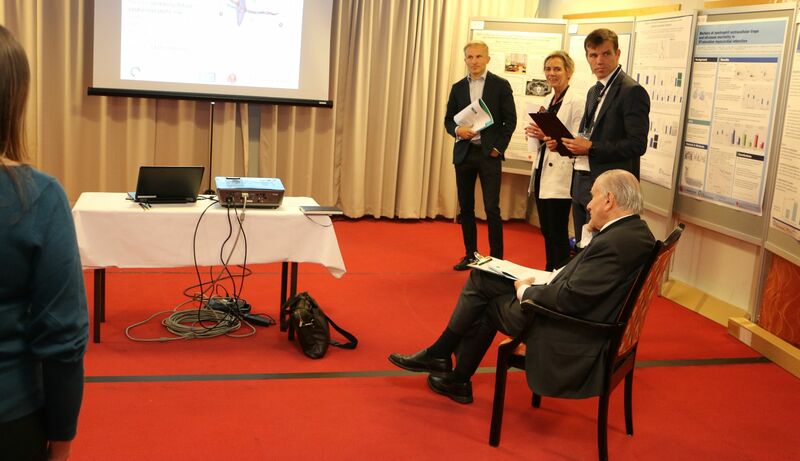 NORHEART hosted the Moderated Poster Sessions at the 16th Annual CHFR Symposium on Heart Failure on Thursday 20st of September, 2018. 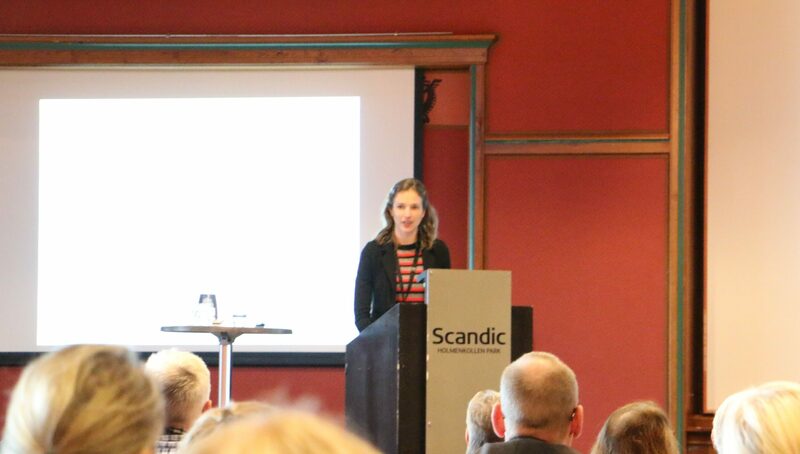 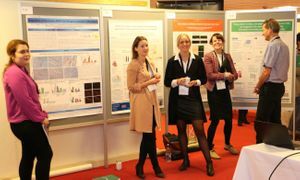 A total of 70 posters were presented, giving PhD students a great opportunity to discuss their research with leading national and international experts. 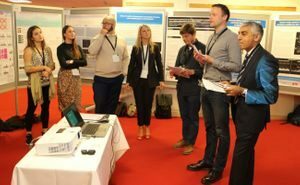 Below are some photos from each poster session, as well as a list of the persons presenting moderated posters at the symposium. Poster prize winners are highlighted in bold. 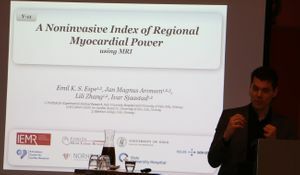 Moderators: Stein Ørn, Stavanger University Hospital and Erik Øie, Diakonhjemmet Hospital. 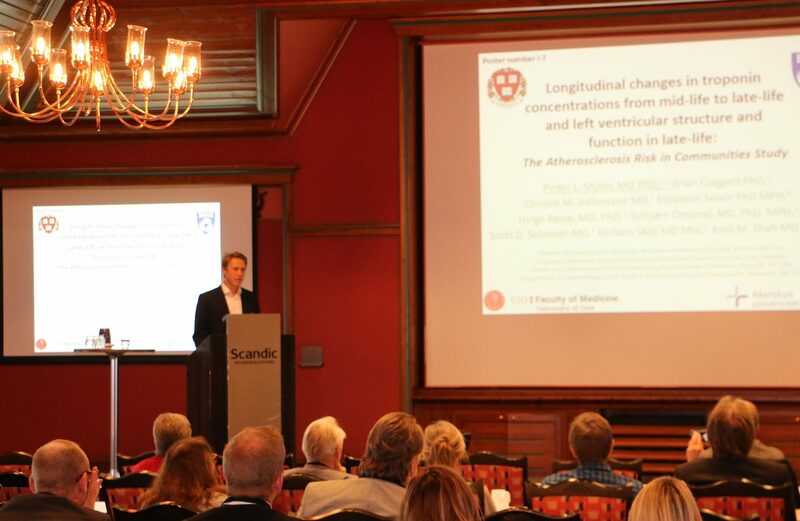 Kristian Berge presents his poster at the “Biomarkers and cardiac disease” poster session. Session winner Peder Langeland Myhre presents his poster at the closing session of the Symposium. 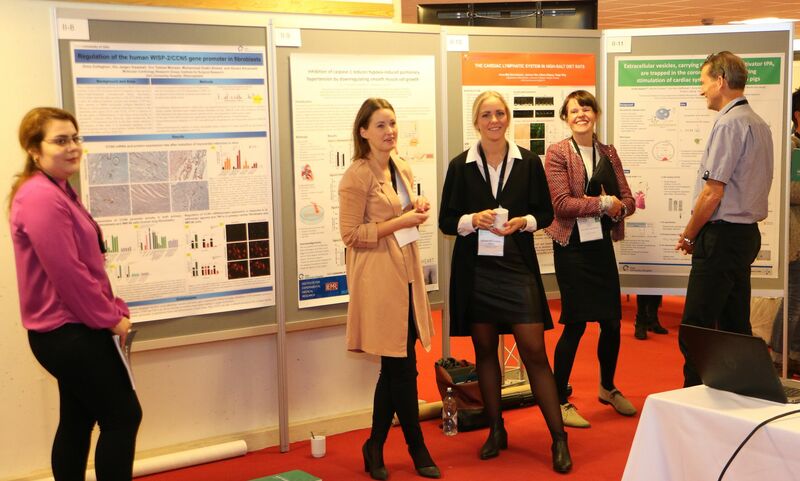 Some of the poster presenters at Session II: “Cellular signalling: myocardial hypertrophy and ischemia”. Andreas Romaine presents the winning poster of session II on behalf of first author Kate Møller Herum. 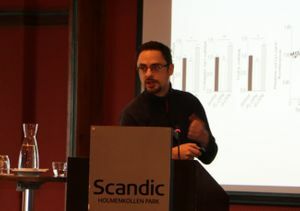 Øivind Rognmo and Øyvind Ellingsen chaired Poster Session III, and the referee was Professor Sanjay Sharma. 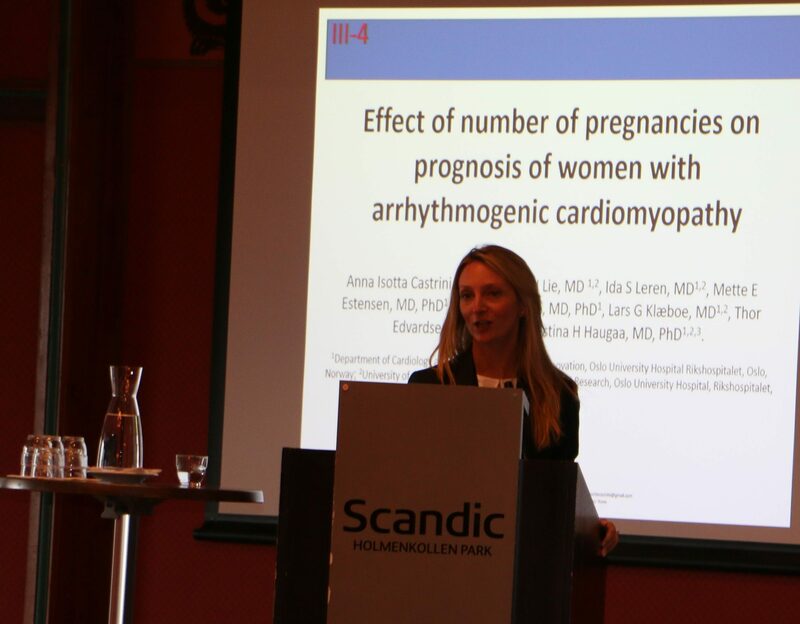 Session winner Anna Isotta Castrini presents her poster at the closing session of the Symposium. 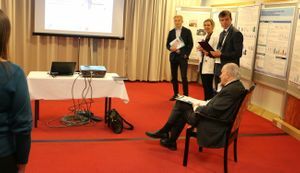 Session winner Bernadin Ndongson-Dongmo presents his poster at the closing session of the Symposium. 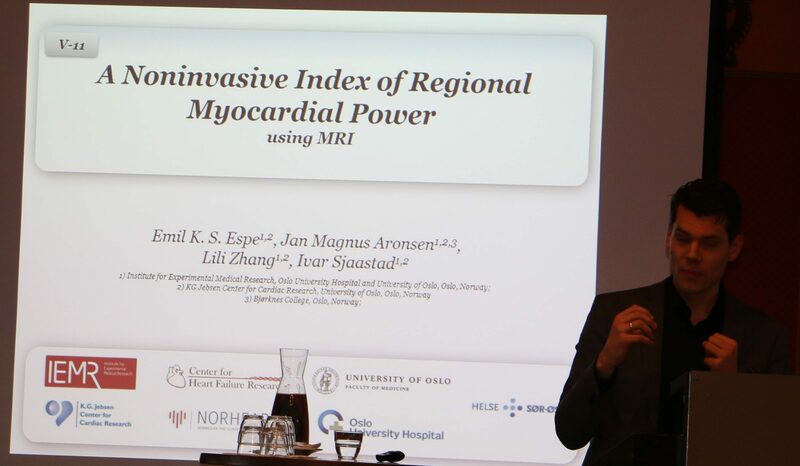 Session winner Emil Knut Stenersen Espe presents his poster at the closing session of the Symposium. Session winner Mieke Louwe presents her poster at the closing session of the Symposium.